Every once in a while something magical comes shuffling down the radio waves. 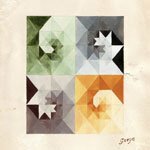 In the midst of a year dominated by four-on-the-floor pop tunes from Carly Rae Jepsen and Katy Perry came Gotye and his odd little tune called Somebody That I Used To Know. I don’t think anyone ever expected the cello and xylophone driven piece to become the top selling song of the year 2012. Ever. It’s pretty easy on ‘ukulele – just three chords. Getting the rhythm down is harder. I highly recommend playing the chords “piano style” – with a finger on each string so you can pick them simultaneously. If you have a low-G then you might want to keep the A string quiet and just pluck the top three.